The debate over whether legal trading of ivory should be allowed to fund elephant conservation, or banned altogether to stop poaching has raged for decades without an end in sight. Now, an international team including researchers from The University of Queensland and the ARC Centre of Excellence for Environmental Decisions (CEED) is working to break the policy stalemate. 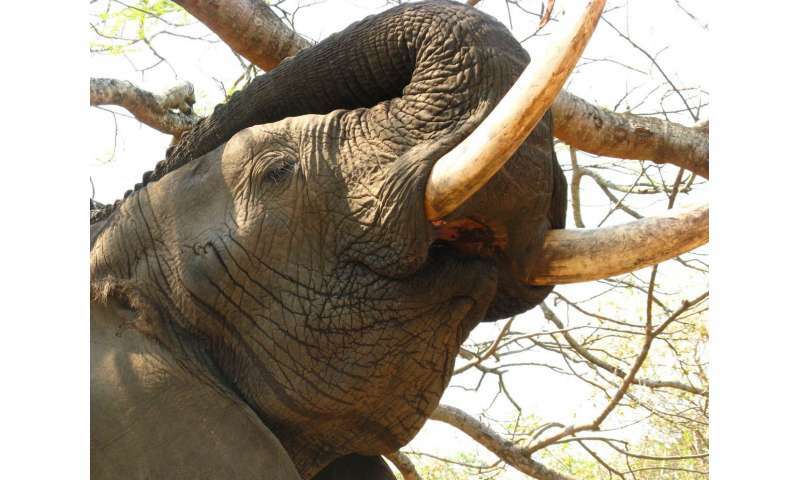 UQ CEED postdoctoral researcher Dr Matthew Holden said the team identified a process aimed to overcome the deadlock on ivory. "We believe there hasn't been a resolution because each side of the debate has failed to recognise the other's moral perspectives," Dr Holden said. "People are more likely to unconsciously challenge information coming from someone with a different moral view, like we see with climate change," he said. "Drawing on what we've learned from other polarised debates, we developed a structured process aimed to help stakeholders better understand each other's perspective, and make informed policy decisions." The researchers recognise the politics around ivory policy are challenging, but urge countries and organisations committed to elephant conservation to initiate such a process. Lead author Dr Duan Biggs, who began the research as a UQ CEED postdoc researcher, said the policy impasse was wasting valuable conservation resources. "Scientific information alone will not solve contentious issues like ivory trade," Dr Biggs said. "Identifying people's beliefs, values and perspectives on ivory trade can help overcome the deadlock on ivory policy." The researchers say the continued policy deadlock on the trade of products from iconic species like elephant and rhino is harming the conservation of these animals.